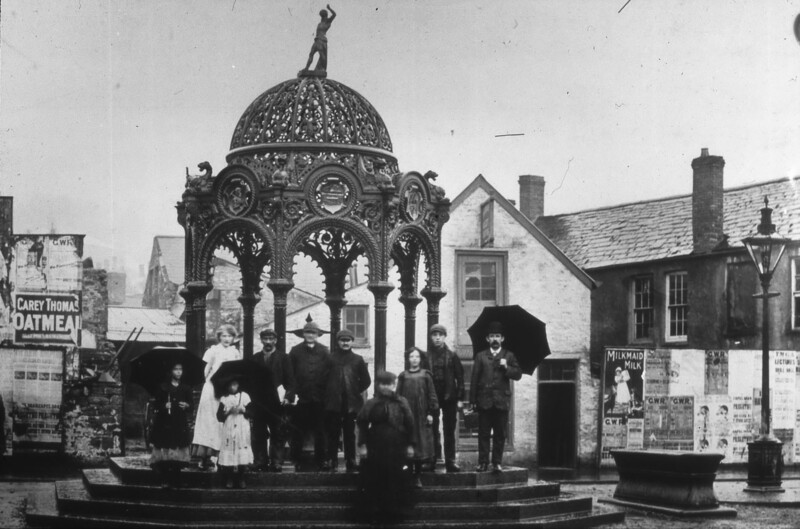 The Fountain was a gift to the people of Merthyr, from Lord Merthyr Sir W.T.Lewis in 1906, and was dedicated to the Captains Of Industry, including his Grandparents Robert and Lucy Thomas pioneers of the South Wales steam coal trade. Elaborately wrought in iron with fantastic decorations. Iron mugs on chains were originally present for the use of the thirsty passer-by. 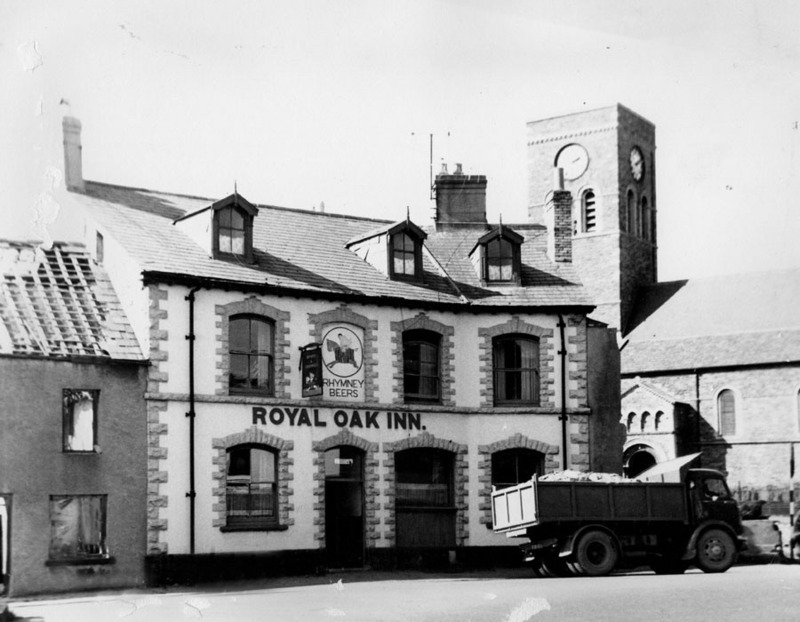 Showing the Royal Oak Inn (Once the home of Owen Money). 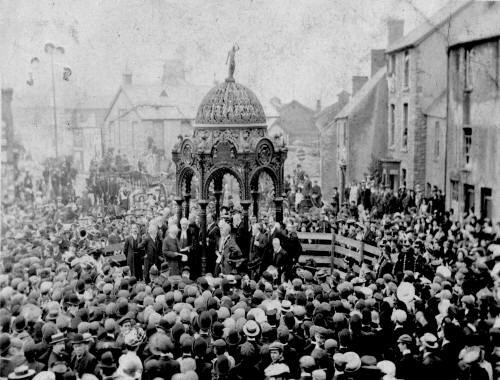 Notice on the horse drawn van, the name of Israel Price, famous owner of the Theatre Royal. The Angel Hotel can be seen in the background. The Fountain has been moved three times over the past years. 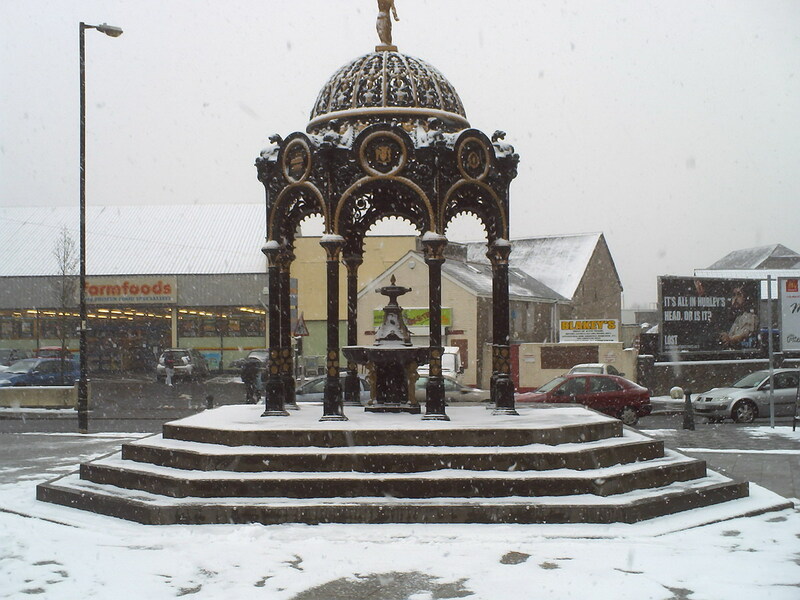 This photograph recently sent to us by Russ Guppy, shows The Fountain in its present location, taken in the winter snows of 2010. Do you have any photographs or information relating to The Fountain, Merthyr Tydfil?